Hilldale and Gregory Breit Professor at the University Wisconsin-Madison & Principal Investigator of IceCube. *** NOTICE: Due to this today’s inclement weather conditions, the public event scheduled for Grant Hall this evening has been formally canceled. Dr. Francis Halzen is the next Dr. and Mrs. George & Maureen Ewan Public Lecturer. The IceCube project at the South Pole melted eighty-six holes over 1.5 miles deep in the Antarctic icecap to construct an enormous astronomical observatory. The experiment recently discovered a flux of neutrinos reaching us from the cosmos, with energies more than a million times those of neutrinos produced at accelerator laboratories. These cosmic neutrinos are astronomical messengers coming from some of the most violent processes in the universe and from the biggest explosions since the Big Bang. Dr. Halzen will discuss the IceCube telescope and highlight the recent discovery that some high-energy neutrinos— and cosmic rays— originate from sources powered by rotating supermassive black holes. We encourage those interested in attending to email Education and Outreach Officer Mark Richardson with the number of people accompanying you at Outreach@McDonaldInstitute.ca to pre-register, or pre-register here: https://www.eventbrite.ca/e/george-maureen-ewan-public-lecture-series-presents-dr-francis-halzen-tickets-54890233165. 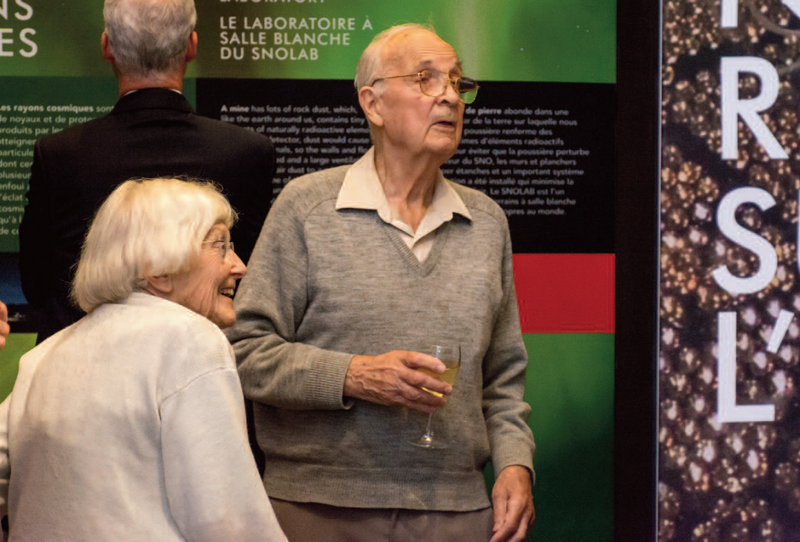 Dr. and Mrs. Ewan attending the SNO exhibit titled “New Eyes on the Universe”. A master of the art of collaboration who convinced talented physicists and national and international agencies that a multi-million dollar science project two kilometers under the earth in a Sudbury mine-shaft would make it possible to solve The Solar Neutrino Problem. These are the words used to describe the remarkable academic accomplishments of Prof. George Ewan when he received his honorary degree from Queen’s University. They also describe the important role that Dr. Ewan’s powerful communication skills played in helping him achieve his research goals. 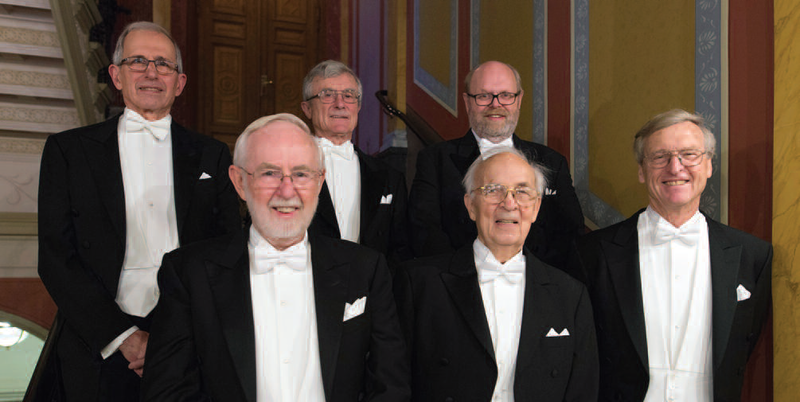 Dr. George Ewan and some of his SNO collaborators at the Nobel Prize ceremony in Stockholm in 2015. Back row: Doug Hallman (Laurentian/Queen’s), Davis Earle (SNO), Aksel Hallin (University of Alberta). Front row: Art McDonald (Queen’s), George Ewan (Queen’s), David Sinclair (Carleton). 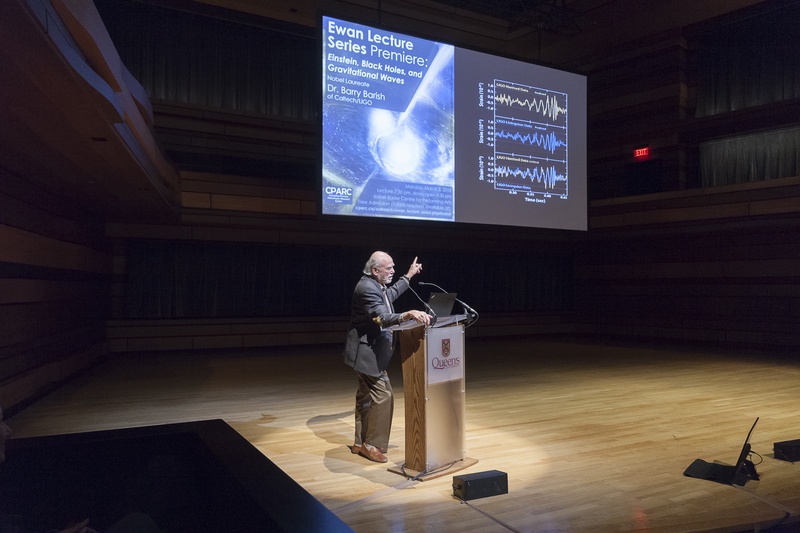 Now an emeritus professor in the Department of Physics, Engineering Physics and Astronomy, Dr. Ewan focused on nuclear physics and sub-atomic research, particularly the solar neutrino problem as a co-founder of the Sudbury Neutrino Observatory (SNO). 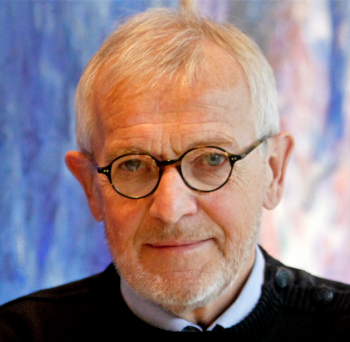 When Dr. Arthur B. McDonald accepted the Nobel Prize in Physics on behalf of the SNO team in 2015, Dr. Ewan was in Stockholm with him. This is why Dr. Ewan and his wife have decided to donate $100,000 to Queen’s to create the George & Maureen Ewan Lecture Series, which will support seminar and lecture programs designed to increase scientific discoure and culture within the Particle Astrophysics community at Queen’s University. 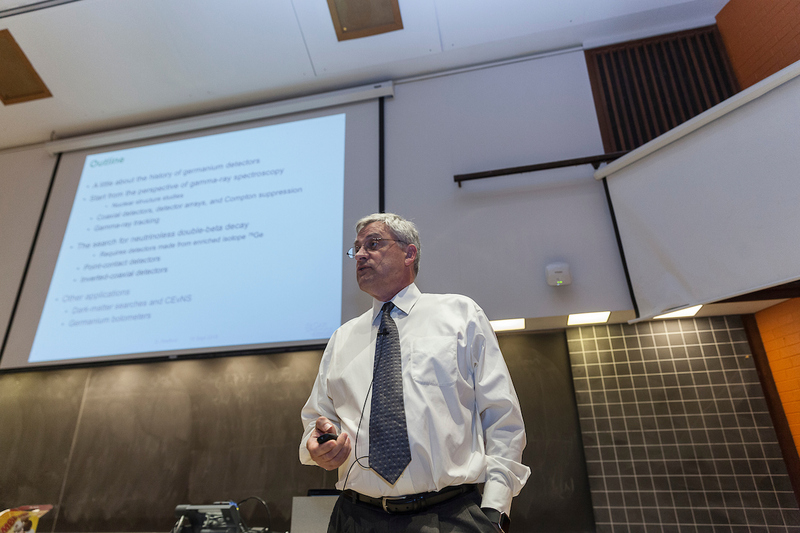 Dr. Ewan’s gift gives the department access to $10,000 a year until the fund is depleted. A $10,000 annual budget will make it possible for the department to look farther afield for guest lecturers and host them for a longer stay. 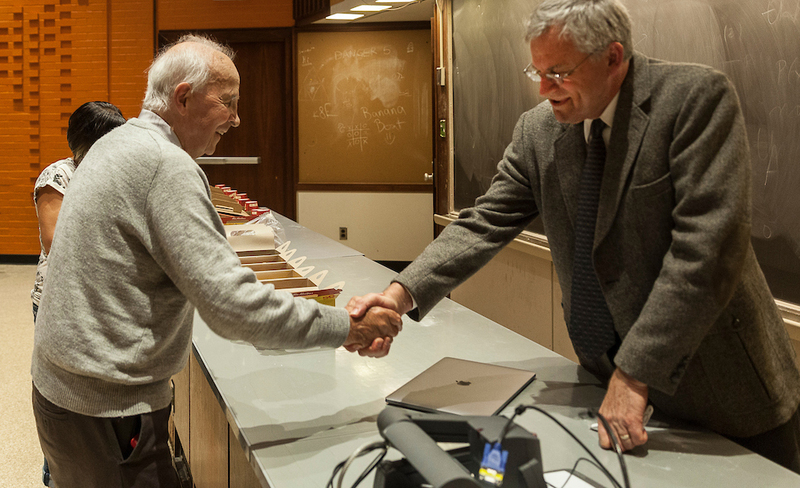 “The idea is to have the guest lecturers stay for a while and spend some quality time with the students, interacting with them and working with them in the labs,” says Dr. Tony Noble, former SNOLAB director and the current Scientific Director of the Arthur B. McDonald Canadian Astroparticle Physics Research Institute. 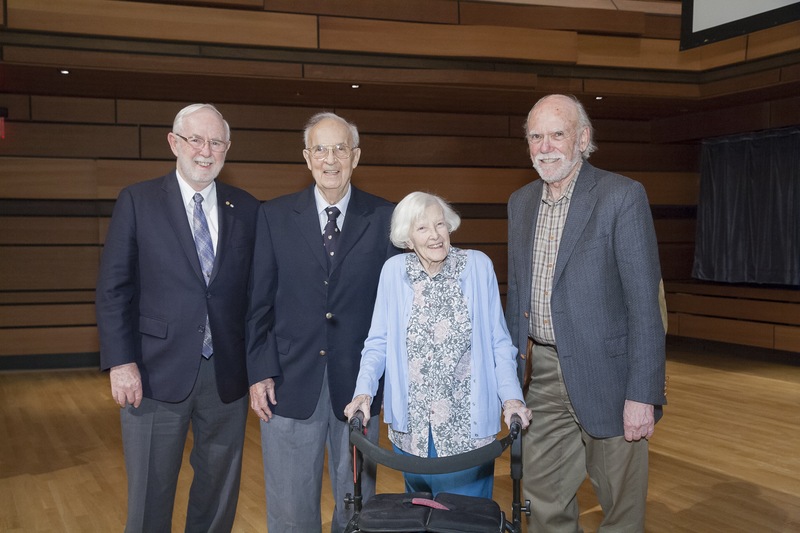 The McDonald Institute and Queen’s University are very excited about the opportunities offered by The Ewans’ generous endowment, and look forward to organising public lectures that will benefit researchers in the Physics department, and the wider Queen’s and Kingston communities! 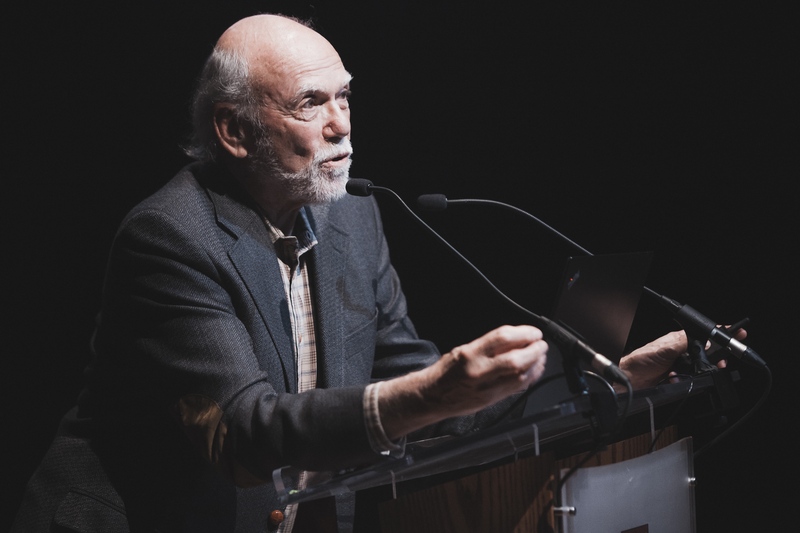 Many thanks to Dr. Barry Barish, Dr. Tom Harris, Dr. Tony Noble, Dr. Barbara Crow and our entire audience for participating in the inaugural Ewan Lecture at the Isabel Bader Centre. We would like to send our warmest thanks to Dr. and Mrs. George and Maureen Ewan who have made the entire lecture series possible through their generous contribution. We were greatly saddened by the news that Maureen Ewan passed away in late March 2018. We are glad that she was able to attend the first lecture of the series, and know that her thoughtful gift to our department will continue to enrich the lives of many. Images courtesy of Greg Black. Albert Einstein predicted the existence of gravitational waves 100 years ago, but the effects are so tiny that even Einstein thought they could never be detected. After 40 years of controversy, theorists finally developed a consensus that they really do exist. Then the problem became whether experimental physicists could develop instruments sensitive enough to actually detect them? The Laser Interferometer Gravitational-wave Observatory (LIGO), using exquisitely sensitive techniques, has made the dramatic observations of gravitational waves coming from the collision of two Black Holes and more recently, Binary Neutron Stars. These observations have opened a totally new window on the universe. The history, techniques and scientific implications will be discussed.